Aaand now they made up for it. With fail. Episode 132: "Cutting It Close"
*Straight to this. With something really freaking stupid. The entire first scene of the show is screwed up. No, not because of slang. The audio is 3-5 seconds BEHIND THE ANIMATION. So you see them talk and it takes 3-5 seconds to hear it. Okay. Maybe the broadcast was bad. EVERY TIME IT HAS BEEN AIRED IT'S LIKE THIS. The problem is in the MASTERS. A.K.A., it's not fixable unless the entire episode is re-dubbed. And it's blatantly obvious. *BUT THAT'S NOT ALL! Sparkling Wide Pressure is called Jupiter Thunderclap Zap. *Fire Soul is called Mars Fireballs Flash. *Supreme Thunder is called Supreme Thunder Crash. WHY U SO BIPOLAR WITH ATTACKS,DUBBING COMPANY? Oh. Oh my. Remember this tiny bit, from my comparison of Episode 137/130? Now I'm going to give you a preview; in 4-5 episodes, this gender change is going to lead to something hilarious. You were warned! " *I'll just sum it up; a whole bunch of little cuts and changes were made to a certain scene. Specifically, the one where Fish-Eye takes off his shirt. And kinda, you know, proves he's a boy. HEY DUB. YOU MADE HIM A GIRL, DIDN'T YOU? *Tiger's Eye and Hawk's Eye were given first names (Jack and Charlie) that weren't there originally. They kept the last names though! *One note. ARGHLE PEGASUS. STOP CALLING RINI... RINI. YOU DON'T CALL HER HER NAME. IT RUINS THINGS LATER. Episode 135: "Recipe for Danger"
*Mayako is changed to Maya. that's all the major things? Episode 136: "Kickin' Into High Gear"
*They call Burning Mandala "Celestial Fire Surround" when most of the time there's a "Mars" in front. *Okay... uh... I don't know how to say this, but... in this episode, the Four Guardians are powered up. Originally: The attack names DON'T CHANGE AFTERWORDS. Venus Love-Me Chain becomes Super Venus Love Chain. Sparkling Wide Pressure becomes Superior Sparkling Thunder. Burning Mandala becomes Mega Mars Fire Rings Flash. Shine Aqua Illusion becomes Super Aqua Illusion. And yes, they do go back to "normal" by next episode. AS PROMISED, THE SLANG. AS MUCH OF THIS STUFF AS I COULD FIND. Remember, this is all one episode. "He's so fine! He's the hottest guy in school!" "Everyone wants to hang with him!" "Hey, Rini, would you like to kick it back with me sometime?" "Ooooh! He thinks you're really phat!" "You girls are totally buggin'." "Why don't you like him? You said he was fly?" "Why are you playin' us?" These lines are said by the Amazon Trio, Minako, Makoto, Chibi-Usa, and Chibi-Usa's friends. Yeah that little sequence basically sums it all up. Episode 137: "Beach Blanket Bungle"
Wow nothing happened except for some tiny cuts. The very name of the episode is just "ewwww"
Yeah, that seems to be the basic formula for names. 3. Almost never actually relate to the original title. Hey look, this title has 2 and 3! Episode 139: "The Duchess's Day Off"
The horror is actually the episode after this one. To make up for it, another hint - it is one line that ruins everything. Episode 140: "No Prince Charming"
Episode 141: "A True Reflection"
*Only one mistake today, but I've been telling you, IT RUINS ALMOST ALL THE GOOD THEY'VE BUILT UP. "You don't have any dreams." Which causes Fish-Eye to become horribly devastated and question his purpose. 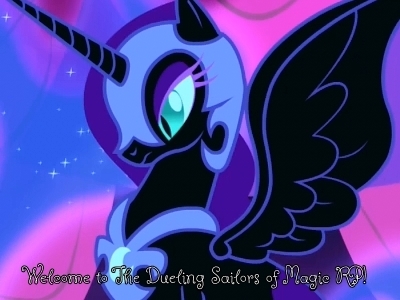 This leads to eventually turning to help Usagi later in the episode, succeeding in gaining dreams, along with Tiger's-Eye and Hawk's-Eye, and be basically redeemed by Pegasus. "I don't want my love life to be that way." Which... devastates Fish-Eye? That's not even the point! THAT SHOULDN'T HAVE EVEN AFFECTED FISH-EYE! THAT PART DIDN'T MATTER! So basically, now Fish-Eye has no reason to do anything else, or turn and help Usagi, or even worry. HE BASICALLY DOESN'T HAVE A REASON TO STOP BEING EVIL. SO NOW THE REST OF THE EPISODE MAKES NO SENSE! *Fire Soul is called Mega Mars Fire in this episode. ...what? Episode 143: "A New Nightmare"
*The Amazoness Quartet is called the Amazon Quartet. It's actually a tricky translation (Amazoness Quartet might not be accurate either) so I'm okay. *Cere-Cere is changed to Cerle-Cerle. BAD. *Palla-Palla is changed to Para-Para. BAD. *Ves-Ves is changed to Besu-Besu. BAD. Why is it bad? Well, remember how the manga eventually makes them Sailor Ceres/Pallas/Juno/Vesta? Cerle-Cerle = ... Cerles? Wait, that's not an asteroid! *Uh, Zirconia didn't "train" the Amazons. Lolwut? And then she asks them what their names are... TWO PLOT HOLES, LADIES AND GENTLEMEN! *Cere-Cere uses slang. Cere-Cere is the grammar queen. See the major problem? *Zirconia is somehow magically not scared of the AQ anymore. She hid it in the original, yes, but it was there. *So the Sailors pull out their transformation items... and in the original, they're silent. The dub? "Jupiter! Mars! Mercury! Venus! Moon Cosmic!" I mean I can see kinda see it if you never knew about the original. But for those of us that know? *Mercury Star Power. THIS IS CRYSTAL POWER! NO! NO MORE STAR/PLANET/CRYSTAL CONFUSION! NOOOOOOO! Apparently the dubbers were too lazy to get off their butts and edit the new Crystal. So they just pasted that part of Star in the middle and called it a day. Originally she says "Mercury!" over the shot of her hand, then "Aqua Rhapsody!" over her actual attack.